The Intra-Bronchial Valve (IBV) is a small, umbrella-shaped, one-way valve that is placed inside the airways of a lung. 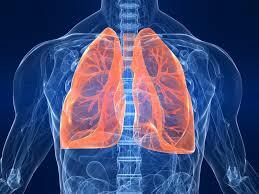 It is used to redirect air from the less healthy to the more healthy parts of the lung. We are participating in the EMPROVE trial. For more information click here. ​The purpose of this study is to evaluate lung function changes and overall safety of the Pulmonx Zephyr Endobronchial Valve for treating people who have severe emphysema. A prospective multicenter observational study to evaluate the safety and effectiveness of Bronchial Thermoplasty in the treatment of patients with severe persistent asthma. ​The benefits for patients of RePneu Coil treatment include improvements in exercise capacity, lung function and quality of life. A growing body of clinical and commercial evidence demonstrates that Coil Treatment provides significant and sustained benefits for a broad population of emphysema patients. To learn more click here. 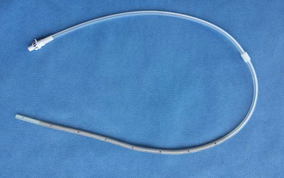 The PleurX catheter has revolutionized the management of malignant pleural effusions, with 46% of patients experiencing auto-pleurodesis at approximately 3 months following the insertion of this indwelling pleural catheter. The purpose of this trial is to determine if the addition of a silver nitrate coating on the intrapleural aspect of the catheter will enhance rates of auto-pleurodesis, in a more timely manner. To confirm the performance of the Archimedes System in patients who are scheduled for standard bronchoscopic biopsy to diagnose pulmonary nodule(s) which are highly suspicious for lung cancer or metastatic disease. Demonstrate safety and efficacy in the risk stratification of patients with pulmonary lesions identified by CT that are suspicious for lung cancer. A statistically significant result will indicate that patients with a high ProLung Test result have a greater risk of developing lung cancer than patients with a low test result. A prospective, randomized, controlled trial to evaluate the safety, efficacy, and potential role of endobronchial placement of Spiration Valve(s) in the treatment of adult patients with persistent lung air leaks.